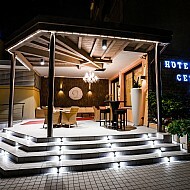 Hotel Cesare Augusto, Bibione, has been fully refurbished in 2019. Its location is simply wonderful:30 metres from the sea,50 metres from Bibione's main road and approximately100 metres from the new Thermal Baths of Bibione. 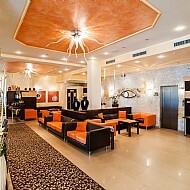 The hotel is well cared for, neat and well furnished. The staff are nice and always on hand to help and the management is ready to welcome you and attend to your every need. The attention to detail, the cleanliness and the large number of services available to guests make Hotel Cesare Augusto a special place to spend your holiday by the sea.